My computer has an SSD drive and crashes. I'd expect that the people who are seeing lots of crashes when TT is maximized are hitting a different issue than those who are having problems saving to PDF. The whole SSD thing is a long shot anyway, but if it was the cause of my crashes when saving, I wouldn't expect that to make a difference for the crash-while-maximized folks, since that's less likely to be timing related. The maximize difference does not help for me. The only thing that makes sense to me is my SSD drive. I have done all that the TT community and customer service has suggested; uninstall and reinstall, admin stuff, turnoff AV, use a different AV program, manual updates, and updated all of my drivers. I even returned the TT CD and got the download version. TT customer service had suggested I try a different computer when asking if I had a SSD drive but I don't have another computer here. 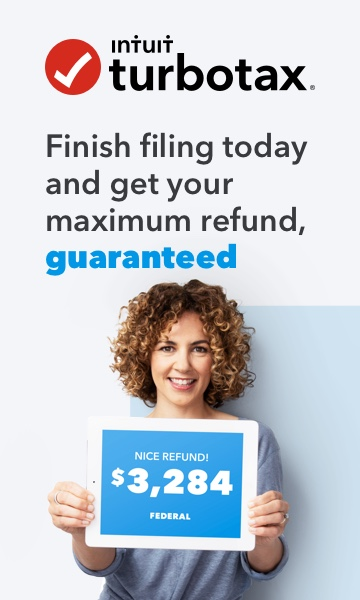 Then they said to use TT online, which I would have to pay more to file just the federal return and I already have done too much work in the desktop version for 2 returns to start over. I just don't trust this version yet to actually file my returns. I also bought HR Block but I don't like it, my returns are complicated and I am so familiar with TT that I am not comfortable changing now. I need a backup computer anyway, so I may get a cheap laptop with a standard drive and see if that fixes this problem. I have used TT for years and have always liked it until this ridiculous version. This has turned into a challenge for me while I wait and hope for a fix before I try to file my returns. Interesting that support would ask about an SSD. I never called support, given all of the stories here. The SSD thing was just a theory as I was thinking about the differences between my two computers. If you don't have another machine and want to test out the timing hypothesis, another idea would be to get an external spinning HD, put your TT file on that, and try saving to PDF on that drive. It's not a perfect test, though, since it's possible that TT is using the boot drive for temporary files, but if you don't have access to another PC it may be worth a shot. I have an ASUS X556UA running Windows Home 10 with an SSD which seems to work. It still crashes periodically not unlike the TURBO TAX version 2017. It's annoying but usable due to the autosave feature. Yeah, I doubt SSD would have anything to do with periodic crashes. I was only conjecturing about the save to PDF crashes. I was hopeful and signed up for notifications of progress/updates that they suggested at the end but I have heard NOTHING. Anyway, SSD drives were discussed and that is why when you explained your experience it made sense to me, also knowing my situation and that was the ONLY thing I could not try. I did try what you suggested though. I attached a WD My Passport drive via USB. I put my TT tax files on there. I started TT and opened the tax file from there. It still crashed. It crashes at random times, not just saves. I imagine the program is using something like you said on the SSD drive because that is where the program is installed and running. For those that have put up with the crashes and completed your returns, have you been able to eFile the returns okay? when switching from "easy steps" to "form", it crashes about every time. Same when trying to save as pdf.